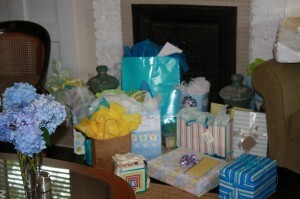 Last weekend I hosted a baby shower for my friend, Meredith, who’s expecting a little boy in August. 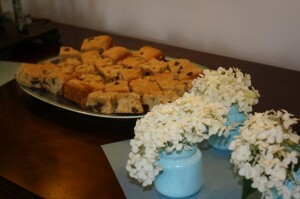 My jobs for the shower included making gluten-free blondies and a quinoa salad. Last summer I made this quinoa salad for another baby shower, but when I saw the following recipe on Heidi Swanson’s blog, 101 Cookbooks, I couldn’t resist. 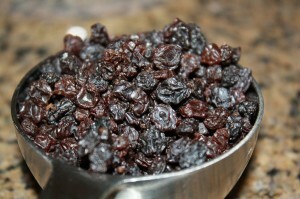 I love random ingredient combinations and this recipe fits that description. I was a little nervous about the dill in the salad but I really enjoyed it, especially with the feta cheese. *To toast sesame seeds, I put a dry pan on medium heat on the stove top, added the sesame seeds and toasted for about five minutes, tossing a couple of times during the cooking process. They will brown and start to smell yummy. That’s how you know they’re ready. 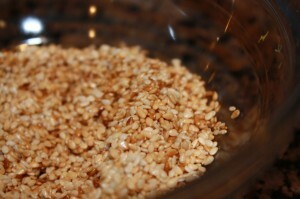 Toasted sesame seeds are quite possibly my new favorite thing! For quinoa: Heat olive oil in a medium saucepan over medium heat. 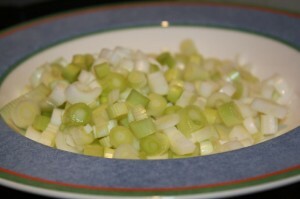 Add most of the green onions, a pinch of salt, and cook until onions soften, a couple of minutes. 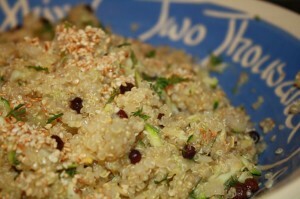 Add the quinoa and cook, stirring occasionally, until the grains toast a little bit, about 3 minutes. While quinoa is cooking, zest the lemon and squeeze 2 tablespoons of lemon juice into a small bowl. When quinoa is cooked, remove pan from heat. 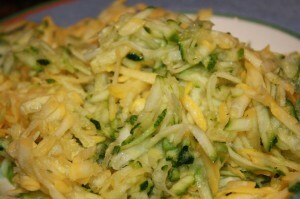 Stir in zucchini, lemon juice and zest, most of the sesame seeds, and most of the dill. Add salt as needed. Put quinoa into a serving bowl. I refrigerated it for awhile before adding the feta cheese. Add as much feta as you’d like. (When eating leftovers, I’ve been adding a little more.) Refrigerate and serve cold or at room temperature. This dish is great if your hosting a shower, summer cookout or any other warm weather event. It would go perfectly with this grilled chicken. 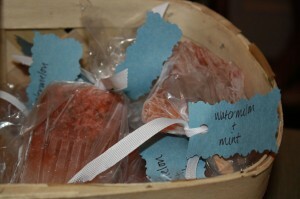 PS: My friend, Mary Stuart, made this amazing (GF) popsicles, with cool flavors like mango, watermelon mint, and blueberry lemon.